Having fun is the key to success! How do you have more fun? Or even make it a priority? 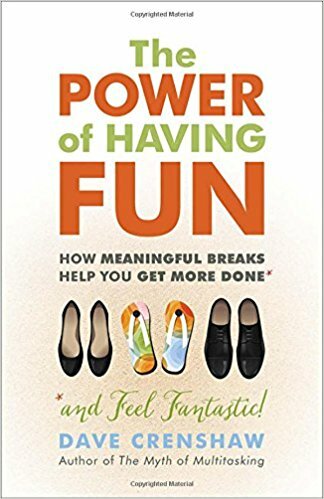 Dave Crenshaw has the answer in his new book (which I love) called, The Power of Having Fun: How Meaningful Breaks Help You Get More Done which is available now. I am a BIG believer of having fun at work and at home. If you want to be successful, having fun is not an option. It’s a necessity. By making fun a top priority—taking meaningful, enjoyable breaks each day, week, month, and year—you’ll not only be happier but be more productive, too! Using scientific evidence, real-world case studies, and a healthy dose of wit, bestselling author Dave Crenshaw shows that a regular respite is like a little oasis in your workday. It refreshes and reinvigorates, recharges your batteries—helping you accomplish more with less effort! The Power of Having Fun coaches you through the five-step system thousands of leaders have utilized to boost productivity and propel their careers—all while feeling fantastic! Let Dave Crenshaw lower your stress, raise your results, and restore recess to your routine. The following is a special guest post from Dave Crenshaw. 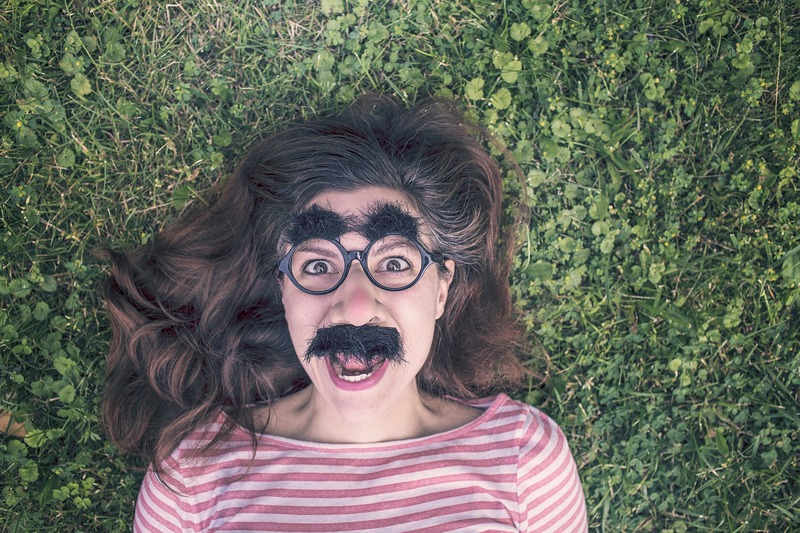 When we talk about “play” in the workplace, the initial reaction for some may be skepticism. We think about our forebears building gear things with blood, sweat, and tears. For them, “work” was eight hours of getting stuff done, getting stuff done right, and not complaining about it. Hard work has its place, yet unstructured play is an equally powerful tool toward building a successful office culture. Time spent in a social environment, engaging in fun, work-free activities not only cultivates an environment of trust, it can increase employee productivity, too. As an executive coach, I see so many companies embrace the idea of play, at least in theory. The problem is that they tend to be leery of the idea of “unstructured” activities. You see company or department off-sites to theme parks, food trucks, bowling alleys, wineries, breweries, and whatever location the CXO has deemed to be “fun.” They’ve embraced the idea of play, but can’t quite wrap their heads around the idea that not everyone wants to do what they want to do. What’s worse is that the activity often morphs into an extended conversation about work, rather than about being in the moment. After all, work is supposed to be data-driven. Market-testing has to be done. Systems must be in place. And, hey, those are all good things for your business when business needs to get done. The problem is that, all too often, doing the “fun thing” becomes less fun and more of a cultural litmus test. The choice not to participate is thought of as treasonous, and anyone who does is considered bad for morale. If you’re in charge of scheduling your next company event, consider creating an open-ended structure. Think back to when you were in school. No, not Brown University. Further. Elementary school. Think about recess. Remember all the choices you had? You climbed trees, played foursquare, made sandcastles, and climbed the monkey bars all in about fifteen minutes. It was completely unstructured and then you went back to class feeling ready to learn, whether you knew it or not. This is how you should think about workplace cultural events. Take a page from Kiva.org. Once a month, this microfinance organization has “adult recess.” For a half hour, employees at Kiva are free to roam, listen to music, eat, be loud, and do pretty much whatever they want. What makes adult recess “adult” is the fact that it’s a scheduled event. When people are able to build their schedule around this event rather than running into it haphazardly, they are able to enjoy it more. Take care to not make fun a reward for a job well done. You definitely should not take it away when sales are down. Instead, it is vital to your success, just as vital as the work done throughout the majority of your workday. This fun break, or “Oasis” as I refer to it in my upcoming book The Power of Having Fun, is necessary and worth it to your company in the end. It’s the fuel your company needs to make that push toward reaching key performance goals as well as career goals. If you want to know what would be meaningful to your company, you should ask those individuals directly. These breaks, when done well, create comradery and build networks of trust, organically. You’ll make more progress by asking everyone what they would like to do for fun, and finding common ground. Even better, create open pockets of free time to allow people to choose for themselves what a fun break means to them. Of course, cultural changes like this take time. Rather than focusing on overhauling your entire way of doing things, pick one, simple first action. What is something that you can do ― this week ― to create unstructured play in your place of business? Most of us put work first and leave fun for last, as an afterthought. But speaker, trainer, consultant, and bestselling author Dave Crenshaw (The Myth of Multitasking) says we’ve got it backwards. By putting fun first―working meaningful, enjoyable breaks into each day, week, month, and year―we will not only be happier, we’ll be more productive too! Buy it now on Amazon. Dave Crenshaw is the master of building productive leaders and has transformed hundreds of thousands of business leaders worldwide. He has appeared in TIME magazine, USA Today, FastCompany, and the BBC News. His courses on LinkedIn Learning have received millions of views. He has written three books and counting, including The Myth of Multitasking which was published in six languages and is a time-management bestseller. His fourth book, The Power of Having Fun, releases September 19th. 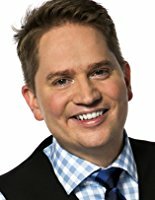 Learn more about Dave at DaveCrenshaw.com.